If we were having coffee…..
I’d tell you that Bill and I just donated a park bench to the W&OD Trail. A couple of weeks ago I met the park manager and even got to ride on the trail with him in the park’s pickup truck as I showed him Bill’s and my top three choices for the location of our bench. 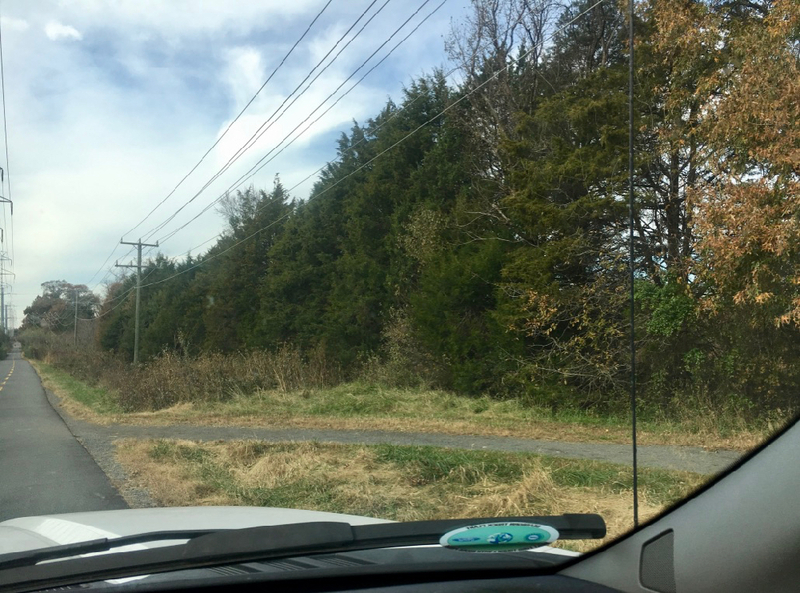 He approved our first choice and I can’t wait until mid-January when the bench will be available for runners and riders on the W&OD Trail to enjoy! I’d tell you that Bill and I registered for the Bike New York Five Boro Tour scheduled for May 5th. Our friends Miles and Paul have been doing this ride (along with several other of our running friends) for several years and we’ve finally decided to join them! It’s official, I’ve gone to the dark side. I’d tell you that to solidify the fact that I’ve gone to the dark side, I was quite thrilled and surprised when Bill gave me a bike Garmin (affiliate link) for my birthday. Now I just need to sit down and figure out how to use it. 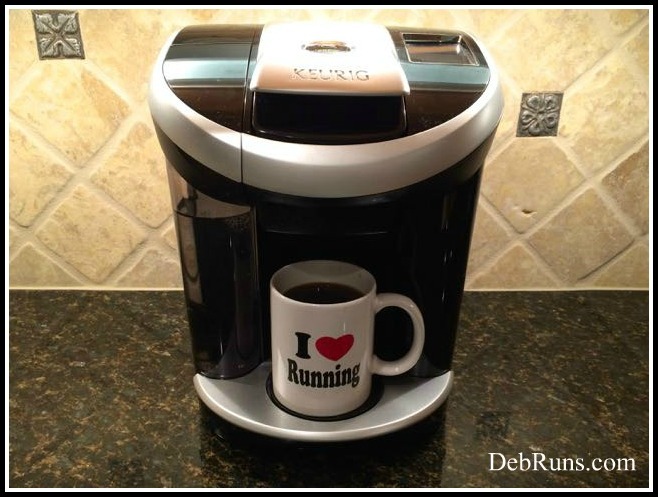 Just like you can run on the treadmill with your running Garmin (affiliate link), you can ride on a stationary bike with this Garmin! I’d tell you that when I went to the running store to pick up my medal from last week’s turkey trot, it wasn’t there. I’ve checked with everyone I can think of who might have picked it up for me at the awards ceremony but haven’t had any luck locating it. I just got a text from the race director who said she had ordered me a new one and she’d mail it to me when she receives it. How nice is that? I’d tell you that I worked my behind off last weekend and pretty much got all of my Christmas decorating complete except for hanging ornaments on our main tree in the family room. I ordered a tree collar and I’m not sure if it needs to go on before I put the tree in the stand or if it’s in two pieces and can go on later so just to play it safe, I’m not decorating the tree until after I receive the collar. I’d hate to decorate the tree and then have to undo it if the tree has to be taken out of the stand to put the collar in place. I ordered it from Crate and Barrel last Friday and it’s supposed to come later today. 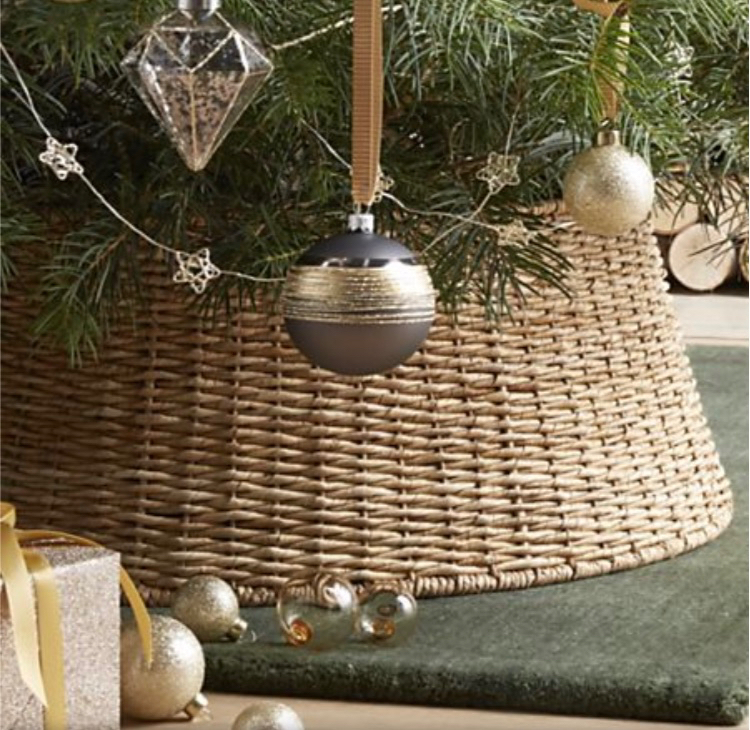 Basically it’s a basket that surrounds your tree stand so it looks like your tree is in a basket. I’d tell you that I’ll be running in the Run With Santa 5K on Sunday with Erin and a bunch of our other friends! It’s always such a fun race and so far the weather forecast is somewhat wishy washy. My phone app shows the rain will move out overnight and temps will be in the mid 40’s, but the radio just said that the rain will linger into Sunday morning. Whatever the case, here’s my flat Deb for the race. If it’s colder I’ll add my white nylon shell and wear my thick Christmas mittens, and if it’s raining, I’ll add my white visor. I’d ask if you have a race coming up, and if you do, I’d wish you good luck and remind you to have fun! 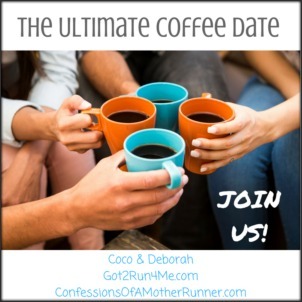 Today I’m joining Deborah at Confessions Of A Mother Runner and Coco at Running With Perseverance for their monthly Ultimate Coffee Date linkup! Be sure to stop by their blogs for a cup of coffee and to say hello; and while you’re there, be sure to check out some of the other bloggers who are participating in the linkup. Have you ridden in any bike events? 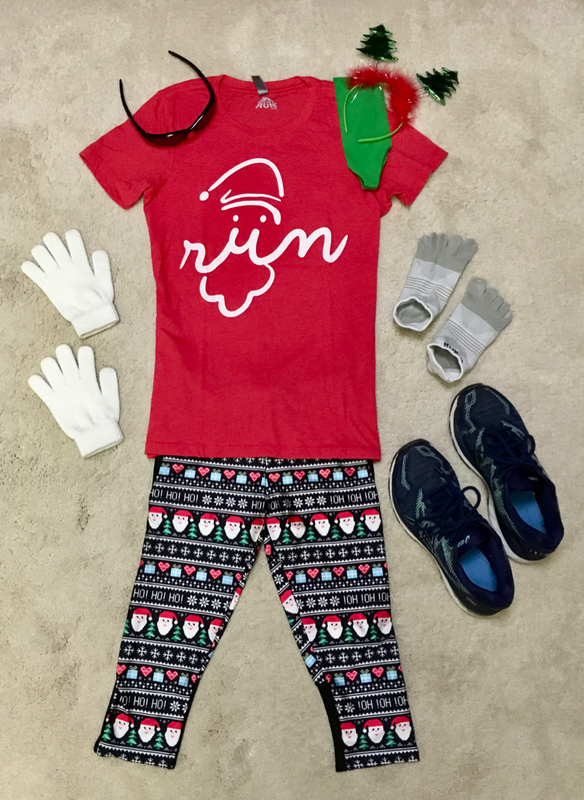 Do you have any holiday themed races coming up? If so, do you dress accordingly? How cool on donating a bench! I think we’ll have to take a “field trip” to check it out. Those leggings are really cute! I’ve got the Jingle All The Way next weekend. Yes, we’ll definitely have to plan a ride so you can come out this way to check out the bench! Good luck at your race next weekend! How cool that they have a Garmin for riding a bike! I had no idea. I have a hard time figuring new gadgets out thought. What a great idea to donate a bench! We do use the WOD trail so much and what a nice way to give back. Wish we could donate a clean bathroom! HaHa, that would be pretty nice! I’ve always said that I’d love to donate some porta potties, but a full restroom would be even better! Thanks – I’m sure it will be a blast! Have fun with the grandkids! That’s so cool that you donated a bench! :] Such a great way to give back! That outfit is super cute! Awesome about donating a bench and loved the running outfit! We’ve wanted to donate a bench for a long time, and just finally made it happen. There’s a funny story behind it that I’ll share on Friday.